The country has one of the world’s most powerful facial recognition systems, which is being used in various ways, but concerns have been raised, as the programme Why It Matters finds out. Even as Facebook’s #10yearchallenge sparks concerns that the social media giant is mining data for facial recognition AI, China’s facial recognition systems are already a reality in everyday life. Why It Matters host Joshua Lim finds out how public restrooms use it to prevent people from taking too much toilet paper; and how jaywalkers are identified, then publicly shamed on a digital billboard. SHANGHAI: With no police officers in sight, one would think it would be easy to get away with jaywalking in a crowded city like Shanghai. But this is China, home to one of the world’s most powerful facial recognition systems and advanced street surveillance cameras.Jaywalkers would receive a text message from the traffic police about paying a fine. What’s more, they would be publicly shamed. “It doesn’t matter if you’re walking or riding a bicycle. (Your picture) will be captured, and your face will show up on a screen nearby so everyone can see your face,” said Ms Janine Wong, a news researcher in Shanghai. Equipped with one of the world’s largest photo identification databases and nearly 200 million surveillance cameras, China is at the cutting edge of facial recognition technology, one that is capable of tracking more than a billion people. 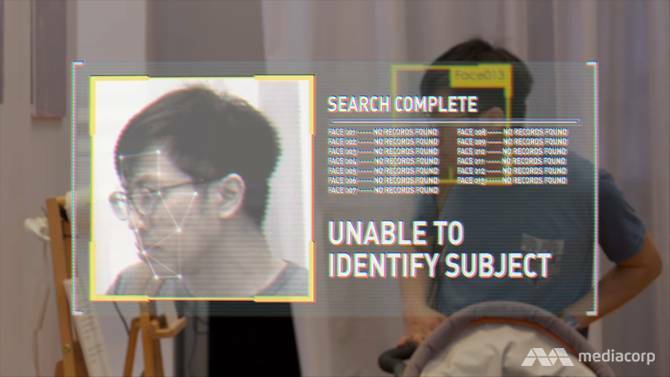 Ms Wong noticed the technology growing in popularity only in the last one or two years, like when her university introduced a facial recognition access system at the front gate last year. “No matter if you’re a student or some stranger, you must swipe your campus card or your ID card. You can only get into the campus after the camera confirms that you’re the one on the card,” she said. These days, she sees more varied applications of the technology around, in retail stores and even in toilets. To improve the standards of public restrooms, about 70,000 of them were built or renovated at tourist sites across China between 2015 and 2017. And some were fitted with facial recognition technology: Toilet paper dispensers that remember the user’s face. Their job is to set a limit on the amount of toilet paper one can take. “When you stare at it (the machine) for three seconds, you’ll get toilet paper,” explained Ms Wong. “In some restrooms in China, users must stare at a facial recognition machine to get toilet paper.Using facial recognition to dispense toilet paper. A growing number of retailers such as Suning are using this technology for less gimmicky reasons: To gain an edge over e-commerce through unmanned stores that rely on facial recognition. 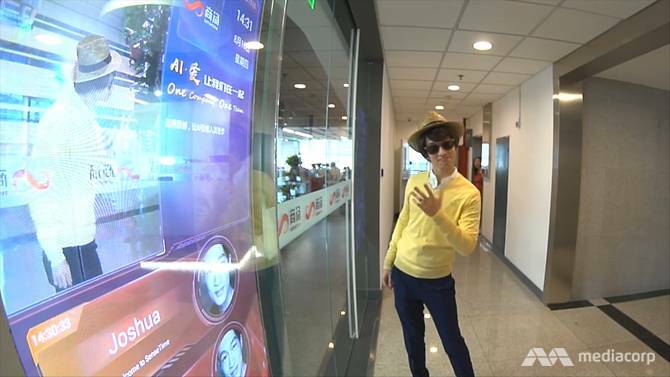 To shop at Suning’s Biu stores, for example, customers must register with the retailer and include a photo. To enter, they look up at the camera at the entrance and the door opens. And to pay, using their pre-registered bank card, they look at the overhead cameras at the exit lanes – a process that takes seconds to complete. Suning Shanghai Biu manager Zhu Wei explained that the system’s facial recognition sensitivity was “very high”, with tests done on twins and cosplayers too. Women were even invited to vary the amount of make-up they put on. To make payment at Suning’s Biu stores, customers look at the overhead cameras at the exit lanes.” The payment process at Suning’s Biu stores. Ultimately, however, facial recognition technology is most commonly used in security and law enforcement. 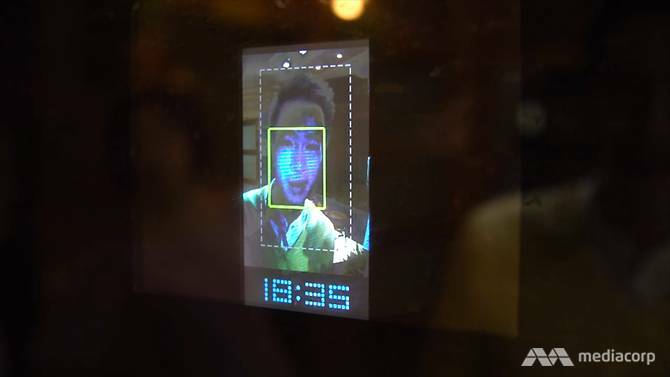 In Wuzhen, a popular tourist spot in the Jiangnan district, facial recognition technology is used not only to keep the town safe, but is also useful in locating lost children. It could take mere minutes to find a child. “A manual search would take us longer. It would take between half an hour and an hour,” said Wuzhen Scenic Zone head of security Jin Jue Lin. 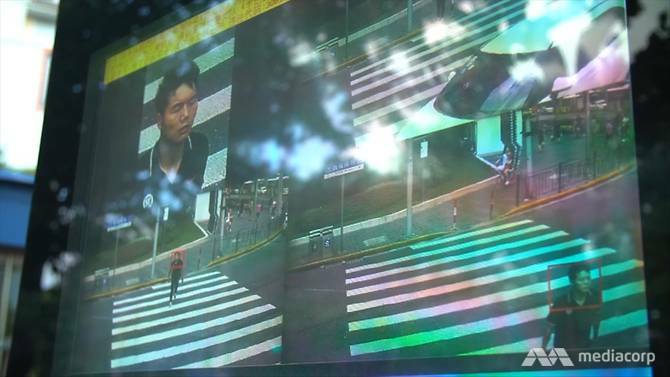 Jaywalkers are already learning that they could suddenly find their face projected on screens erected along the streets. But the technology is not without its shortcomings. 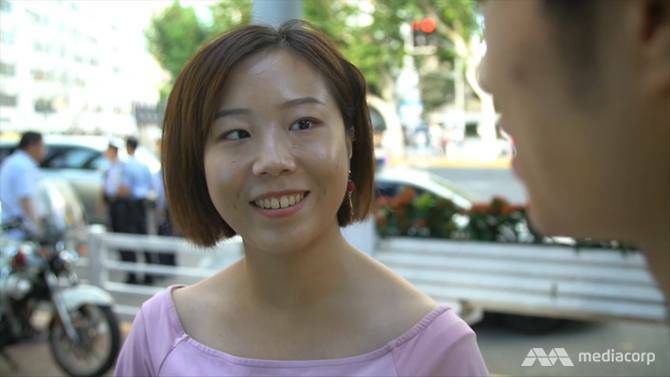 Last year, Chinese police wrongly shamed a famous businesswoman for jaywalking, after their facial recognition system mistook her face on an advertisement on the side of a bus for her actual face. 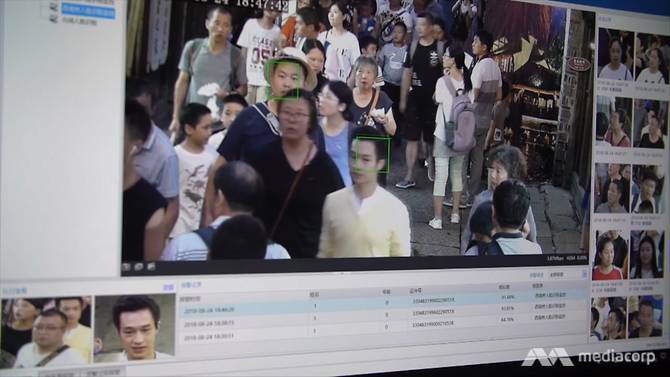 Chinese facial recognition specialist SenseTime Group possesses software that it claims is one of the most powerful in the world, capable of picking out a face out of 100 million people. But when Why It Matters host Joshua Lim put the algorithm to the test with a series of disguises – wigs, moustaches, hats, sunglasses and even a mask – he managed to outwit the system. SenseTime failed to recognise him three out of five times, even when he used only sunglasses. “For a system that claims it can recognise faces better than a human (can), I’m surprised it couldn’t identify me,” he said. Chief executive officer Xu Li explained that facial recognition technology has different applications, and door access control is one where safety should be guaranteed. “We should have a very high security level. This is why the algorithm couldn’t recognise you,” the 37-year-old told Mr Lim. Dr Xu said his company is not only doing facial recognition, but also looking at body gesture recognition. “Maybe in the near future, you can walk past with a covered face, but it can still recognise you,” he added. Today, SenseTime operates out of nine cities, including Singapore, with more than 700 customers and partners round the world. Singapore, too, has big plans for facial recognition technology, with a project lined up to fit cameras and sensors on more than 100,000 lamp-posts, to help authorities “perform crowd analytics” and support anti-terror operations. Currently, the technology is being used at some immigration checkpoints and military camps to screen visitors. 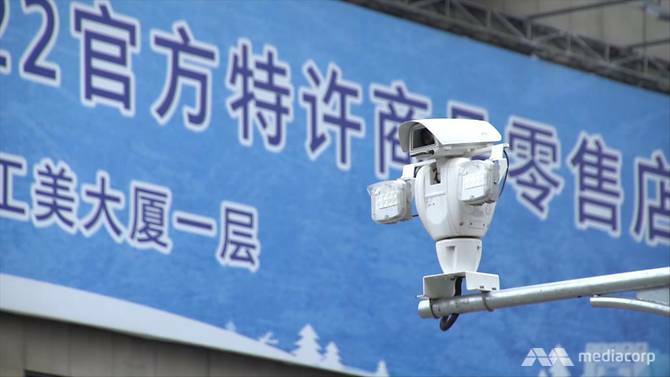 In China, police are expected to spend US$30 billion (S$40 billion) on surveillance equipment in the next two years, increasing the number of cameras by 400 million across the country and equipping more security cameras with facial recognition capabilities. However, a recent survey carried out by China Central Television and Tencent Research found that three in four respondents were worried about the threat that artificial intelligence poses to their privacy. China does not have a law that offers comprehensive protection in the collection of personal information. 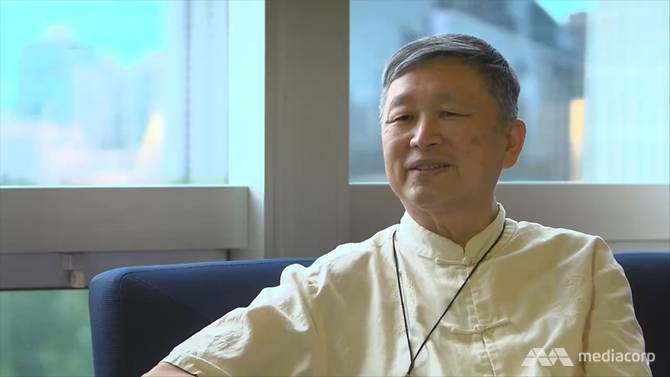 And political commentator Zhang Lifan, whose stance on the need for political reforms often puts him at odds with the Chinese Communist Party leadership, is concerned that “China doesn’t draw a line between public and private domains”. “The government feels it’s natural to monitor her citizens,” the 68-year-old said, claiming that he used to be tailed by a car wherever he went in the past. These days, because of facial recognition technology and “cameras everywhere”, he thinks the authorities rely on its massive grid surveillance network called Skynet. “The facial recognition system can be used to ensure a safe society. The original intention is good. But in reality, it can be abused to violate individual privacy,” he added. ‹ PreviousIt’s been decades since the Vietnam War ended, and the Smithsonian has never mounted a full exhibition. Until now.